Sotravic has completed over Rs 5bn of water infrastructure projects. 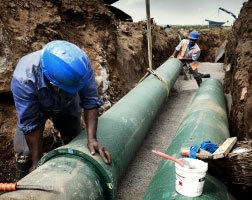 To date Sotravic installed over 700km of water pipeline infrastructure in all parts of Mauritius. Sotravic has completed over Rs 8bn of sewer infrastructure projects. To date Sotravic installed over 400km of sewerage infrastructure, including pumping stations and treatment plants. 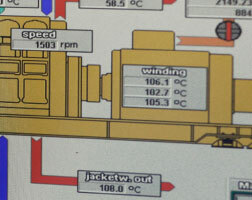 3,3Mw Power plant produces electricity for 50,000 people daily. Sotravic became the first Independent Power Producer to supply, to the CEB, energy produced solely from a Renewable Source. 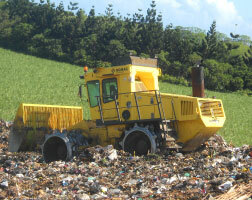 Sotravic entered the Solid Waste Management industry in 2006. Sotravic receives and manages about 1200 tons of waste daily at Mare Chicose Landfill site of which Sotravic transports about 50%. Sotravic is one of Mauritius’s leading Engineering, Contracting and Services companies. It has created employment, developed skills, applied technology and delivered infrastructure throughout Mauritius and Indian Ocean Islands. Careful step by step expansion in both resources and experience has enabled Sotravic to become the market leader in Sewer and Water infrastructure, Waste and Landfill management, Geotechnical investigation and Renewable Energy solutions. Today the Group focuses its operations in 3 sectors namely Environment, Energy and Infrastructure sectors for both Public and Private clients. Stop / Go traffic diversion active on the following roads (Railway Road, Belle Terre Road, Tout Court Road) from 05 July ‘18 until 09 December ‘18 from 7.30am - 5.00pm.